B - I do! O - Congrats! BINGO! Instead of letters and numbers on this bingo set, we have squares for bride related terms like "I do", "The Perfect Match", "Cheers," etc. 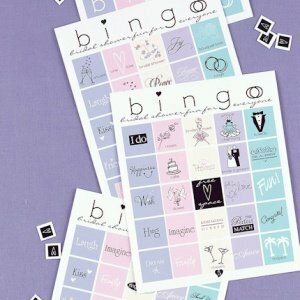 Introduce a new twist on the traditional bingo game with this contemporary set specifically for bridal showers. We include 21 colorful cards for up to 21 players, so everyone at the shower can participate in this classic game. Marker chips not included. How many bingo cards are included in this game set? 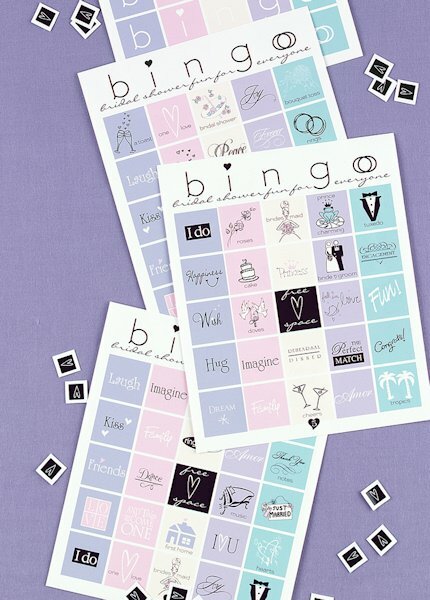 The Bridal Shower Bingo Game includes 21 colorful cards for up to 21 players, so everyone at the shower can participate in this classic game. Please also note that the marker chips are not included.